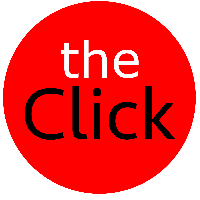 The Click – Page 1139 – Photojournalism, Photography, Art, Culture. The Best Links, The Coolest Stories. At least, Yudin said, there is the sound of birds chirping in the trees. During most of 2004, when a toxic plume from the plant killed off many gardens in Karabash and some of the surrounding countryside, the town was eerily silent. “It’s funny that birds are much smarter than we are,” he said. Berntsen resigned, wrote his book and, as required, submitted “Jawbreaker: The Attack on Bin Laden and Al Qaeda: A Personnel Account by the CIA’s Key Field Commander” to the CIA’s Publications Review Board, which redacted about five pages of the 400-plus-page manuscript. “They were very efficient and thoughtful,” he said last week. Then the board sent it to the Directorate of Operations, where Berntsen had worked, as is the practice. There, Berntsen contends, “Mr. Foggo made good on his word” and 70 pages were blacked out. Berntsen’s lawsuit, filed earlier this year in the U.S. District Court for the District of Columbia, asserts that the CIA violated his First Amendment rights in redacting as much as it did. Anna Politkovskaya was found dead by a neighbor shortly after 5 p.m. A Makarov 9-millimeter pistol had been dropped at her side, the signature of a contract killing, Vitaly Yaroshevsky, the deputy editor of Novaya Gazeta, said in a telephone interview. Anna Politkovskaya, a Russian journalist known as a fierce critic of the Kremlin’s actions in Chechnya, has been found dead in Moscow. She was found shot dead near her home in a block of flats in the capital. A pistol and four bullets were found near her body, the Interfax news agency said, quoting unnamed police sources. The award-winning journalist fell seriously ill with food poisoning in 2004, which some suspected was an attempt on her life. With “Gods Of War”, MANOWAR is calling all warriors to enter Valhalla. Let the battle begin! There is a further reason why Baron Cohen causes injury and offence. Under Stalin’s forced collectivisation in the 1920s, about half the ethnic Kazakh population were deported or starved to death. In the early 1940s, entire populations of “anti-Soviet” peoples – including Tartars, Chechens, Ingush, Volga Germans and Koreans – were dumped in the Kazakh steppes. The one positive outcome of the forced population movements is that Kazakhstan has one of the most ethnically diverse populations in the world. Just over half of the 15 million population are ethnic Kazakhs, about 30% Russian, and the rest from a dozen different nationalities. There are more than 100 different ethnic and religious groups. Vyacheslav Fedchenko watched in horror as a Stinger missile fired by Afghan mujahedin struck a Su-25 fighter jet and the pilot, Konstantin Pavlyukov, parachuted out high above the Bagram Air Base. Helicopters attempting to rescue Pavlyukov faced fierce enemy ground fire, leaving the pilot to pull his final maneuver, one that would later earn him the posthumous award of Hero of the Soviet Union. “He blew himself up with two grenades when they tried to capture him and took the bandits with him,” Fedchenko said by telephone from Barnaul, in the Altai region. The 22 men bowed down before Allah and pressed their arms and shoulders together and chanted. They closed their eyes. They melded into a single body. And in their unity, they seemed unfazed by the ultranationalists who days earlier had firebombed this city’s only mosque for the second time in a week. But as the worshipers rose from their prayers, slipped on their shoes and headed out into the night, they voiced few fears about lurking thugs. There were no guards posted in the courtyard, no locks on the front gate. The Soviet collapse spawned 15 new countries that are now established members of the international community. However, economic, political and ethnic disparities also gave birth to a series of far less known unrecognized republics, national aspirations and legacies. Jonas Bendiksen, a Norwegian and Magnum’s youngest photographer, started his “multi-year project about states that do not actually exist”. “Satellites” is a photographic journey through the scattered enclaves, unrecognized mini-states, and other isolated communities that straddle the southern borderlands of the former USSR. The itinerary goes through places such as Transdniester, a breakaway republic in Eastern Europe, Abkhazia, an unrecognized country on the Black Sea, the religiously conservative Ferghana Valley in Central Asia, the spacecraft crash zones between Russia and Kazakhstan, and the Jewish Autonomous Region of Far Eastern Russia. As they rushed the house, Navy corpsman Alonso Rogero was hit in the stomach and Lance Cpl. Ryan Sunnerville in the leg. Grainy, shaky film of the incident shows Sunnerville hopping on one leg, still firing his M-16. Marines and insurgents exchanged gunfire from no more than 20 feet. From inside the building, the insurgents also threw grenades. The insurgents had hoped to spring what is called a Chechen ambush, named after the rebels who have fought Russian troops for years. The tactic is particularly successful when tanks cannot be used. The strategy, Marines determined later, had been to wound Marines attempting to enter the building. When other Marines came to help them, an insurgent sniper down an alleyway would pick off corpsmen, radio operators and officers. And when enough Marines or vehicles were gathered, insurgents would fire rocket-propelled grenades. Adlesperger fired at the insurgent machine-gun position as he ran toward Rogero and Sunnerville. He helped the two up the outside stairway to the roof. As insurgents tried to storm the stairway, Adlesperger killed them before they could reach the roof. Shrapnel ripped into his face. “Rumsfeld’s style of operation,” Herbits wrote, was the “Haldeman model, arrogant” — a reference to President Richard M. Nixon’s White House chief of staff, H.R. “Bob” Haldeman. Halliburton’s reputation as a disaster and conflict industry innovator will be cemented by the SurvivaBall™, a one-size-fits-all solution to global warming.